I am not a great fan of vacuuming, and in my dreams a magic elf would come along on a daily basis and vacuum my house from top to bottom. So when it comes to using a vacuum cleaner, I am an exceptionally persnickety consumer, ready to complain about the smallest thing. Moreover, I am fairly compulsive about keeping things neat and clean, so I expect a vacuum cleaner to really do a good job, just not a surface skim. If I did not have the dubious distinction of trying out dozens of vacuum cleaners each year, deliberately trying to find flaws, I would be as confused as any of our customers trying to figure out which vacuum cleaner to buy. Today’s consumer has a dizzying array of choices. Therefore, the following is my advice on what to be thinking about when purchasing a vacuum cleaner. 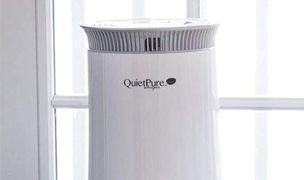 When all is said and done, this is what I want from my allergy vacuum; I want a, lightweight, high performance, easy to use vacuum which lasts for years with no trouble. 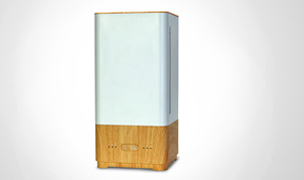 It goes without saying that I want one which does not spew dust back into the room through its exhaust. If this sounds like you, read on. Basic Style: Canister or Upright – Your first decision is to decide whether to buy a canister or an upright vacuum. The vast majority of Americans prefer an upright vacuum cleaner. It is what their mother used. If you have deep pile wall to wall carpet and have a couple of dogs, there is no doubt that the upright would be the best decision, as upright vacuum cleaners have a larger bag for dirt, and the beater brushes agitate the carpet fibers and create some air through which to pick up ground in dirt from the carpet. 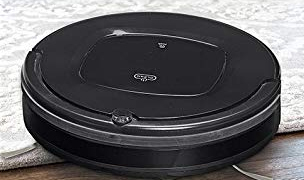 On the other hand, if you have mainly hardwood or tile flooring with just an occasional thin scatter rug, then a canister vacuum which moves effortlessly over all surfaces, often with big rubber wheels so as not to scratch your floors, would be a better choice. The other advantage of canisters is the issue of weight, since you are only pushing around the head of the unit and not the whole machine. As we get older, weight becomes a prime consideration. More Vacuums Styles – Cordless and Handheld. Handheld vacuum cleaners to my mind make wonderful gifts to the men in your life, and are a way to take some surface dirt out of your car. They are also useful for a quick pick up of stair carpets. None of them are very powerful and the dirt cup is small. 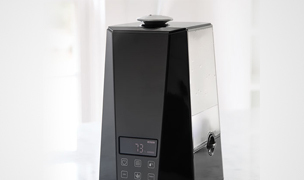 Central Vacuums are in theory the perfect vacuum cleaner for allergy sufferers and all those wanting to change the bag at very infrequent intervals. A central vacuum hose extends a long way, somewhere in the region of 30 plus feet, but herein lies the problem. Even the newer central vacuums with lighter hose, necessitates hauling around the hose, often around your neck for convenience, reminding me of a python. That being said, central vacuum cleaners are the most allergy friendly vacuums of all, because there is no room emissions of particles of any kind, since the collection of dirt takes place most often in the basement, and not in the room where you are vacuuming. 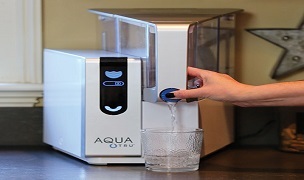 They also last for years, but need professional installation which can take up to a day. Believe it or not, they can be retrofitted to an existing home. 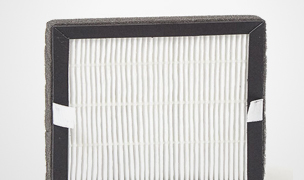 Hepa Filters – Vacuuming used to be a chore which made me sneeze like crazy. Nowadays, using a vacuum with a good post motor hepa filter, and an entirely sealed unit[the case], vacuuming is no longer a hazard for me or any allergy or asthma sufferer. 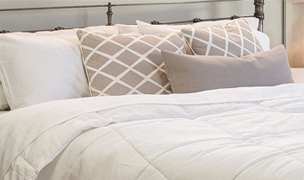 In fact, the room can have less particles in it after vacuuming than before you started. The Miele Canister vacuums have always been completely sealed. We have tested these vacuum cleaners with a particle counter and can testify to that no dust blew out the exhaust. However let me add that the very act of agitating carpet will stir up some dust around the vacuum and into the room air. The particles settle down in 15 to 30 minutes, but there is no way of avoiding this except if you have hard wood or marble flooring. Weight and Comfort – As I have got older I find I am more ready to trade off emptying vacuum bag more often if the vacuum cleaner is lighter to use. Most manufacturers who have listened to their customer base, have now come out with a mini sized canister vacuum. The Miele S4 series are the smallest of this category, but most expensive. They offer the most whistles and bells with an ergonomic handle, and touch finger tip controls in the higher end models. They are best if you have hardwood floors and just an occasional scatter rug. If you are determined to have an upright vacuum cleaner despite their heavier weight, then the SEBO X series to my mind is the best combination of performance, reliability and weight and maneuverability. These upright vacuum cleaners lay down flat in order to get under beds and furniture, and comparatively speaking, at around 16.9lbs are reasonable to move around. 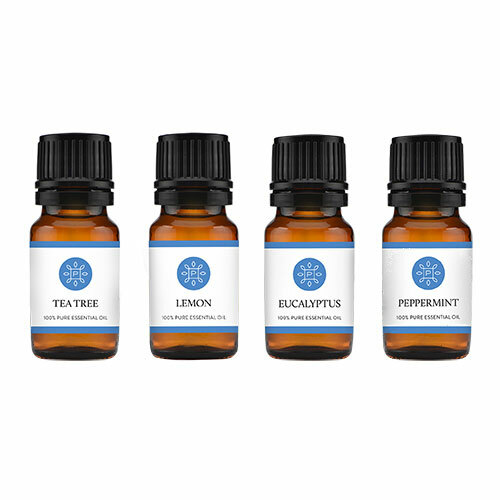 They have been manufactured to commercial standards, so take a lot of abuse without faltering. The Sebo G upright series are also 16.9 lbs but are less expensive, and for those people with a great deal of carpeting, they do a wonderful job. Attachments – Here is where you need to tell yourself the truth. 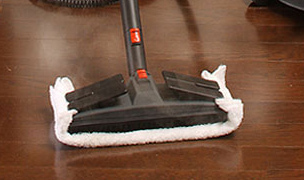 If you are the kind of vacuum user who just cleans floors, and only once in a blue moon wants to remove lint off upholstery, then attachments will be less useful to you .If you are one of those people who likes to clean your computer, detail your car and dust your hard floors and clean pet hair off the sofa, then attachments are very important to you. In regards to attachments, I have found that best quality attachments which go on and off most easily are those put out by Miele. In the upright division, the honor for best attachments belongs to Sebo. While attachments for an upright vacuum are usually a design modification, Sebo offers an excellent selection of attachments and SEBO X series has a long enough hose at the back of the machine to make cleaning with attachments easy. My most often used tools are the hard floor dusting brush. My favorite floor dusting brushes are offered by Miele. Miele Parquet Floor Brush SBB 300-3. Noise – Where I come from in the UK, people do not think a vacuum cleaner is doing its job unless it makes the noise of small train. One UK manufacturer actually made their vacuum cleaners noisier in order to have people think they were doing their job. In the USA, we like our vacuums quieter and we think noisy means cheap and low quality. I am sufficiently Americanized after 30 plus years in this country, that I prefer the quiet purring of a Miele, with it being the quietness champ. Performance Motor Power (amps) – Measures the amount of current used by the motor. 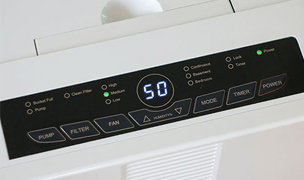 Higher amps doesn’t necessarily mean more cleaning power. Airflow is a truer test of effectiveness. Interesting fact on air flow: Bags clog up and should never be used until they are completely full. Powerhead or Turbo head? My rule of thumb is that if you have mostly carpets and a few scatter rugs, you should get a turbo head because they can go seamlessly from carpet to bare floor without an attachment change. On the other hand, a power-head has a brush roll and an additional motor which gives it extra power when it comes to sucking up the ground in dirt in carpets. Turbo heads are purely air driven and are less powerful. My favorite turbo heads are put out by Sebo who sized them just right. The Sebo K2 has a surprisingly effective turbo head. Power heads vary enormously in size with different manufacturers and accordingly can be lightweight or quite hefty. There are conventional full-size or medium power heads, and lighter weight Euro styled power heads. 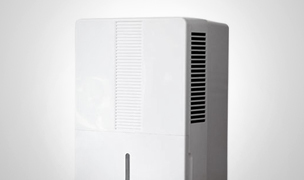 Emissions – We have tested the room emissions right at the exhaust of many HEPA vacuum cleaners. 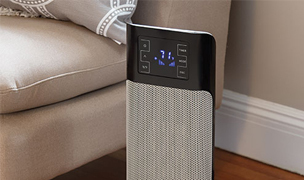 Manufacturers now claim that with their newest hepa models that the room particle count actually goes down after vacuuming, so you get some air cleaning benefit as well. 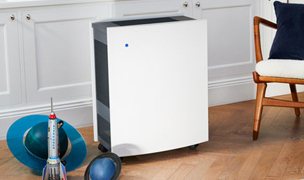 Miele offers excellent HEPA filtration in a sealed system design. Ease of Changing Tools – You will use tools if they are conveniently stored on board your vacuum cleaner, and if you can get them on and off easily. I particularly dislike those tools, which expect me to squeeze and push them to get them to fit, or fall off once I have started vacuuming. Miele vacuums are without peer when it comes to ease of handling. Sebo attachments are a trifle bit more ‘sticky’ to get on and off, but in truth they are not difficult and it has not stopped me from buying SEBO vacuums for my own home. Automatic Height Adjustment – Need to keep going from bare carpets to rugs? This feature will make life a lot easier. This feature is found on the Sebo X series upright vacuums. Air Volume Adjustment – Tired of sucking the curtains off the window or your precious Persian rug off the floor? This is a really necessary feature especially if you intend to use your accessories. The best vacuum cleaners sport finger tip controls[no bending down to adjust the volume of air]. The top-of-the-line Sebo D4 canister has this luxury feature. Intuitive Controls – When I test out vacuum cleaners one of the first things I look for is whether I can just plug it in and go without looking at the manual for assembly instructions, also whether I can figure out the on/off switch and how to change the bag without it being a major production. Sometimes vacuum cleaner controls are starting to become too complexâ€”like all those microwave controls you never use! With a few minutes of looking at the manual, the Miele controls and features are near perfection on their higher end vacuum S5 models. If you are prepared to pay for it Miele has designed the most user friendly and feature rich vacuum cleaner on the planet. Performance – Let’s face it, most of us want to get up the dirt as fast as possible so you can put the vacuum back in the closet. Nobody likes to be re-vacuuming several times over the same spot on their carpet to try and get the dirt up. One of the most annoying demonstrations by those door to door sales people is to have you vacuum your carpet until you think it is clean, and then show you how their vacuum then picks up more dirt. Actually that trick will work with all vacuum cleaners because none of them do a perfect job. I have literally got on my hands and knees after testing a vacuum to inspect the microscopic specks of dirt left behind. For sheer high performance in an upright vacuum cleaner, the Sebo Felix is a hot contender. The same power head as the Felix, is now used on the Sebo D3 canister. 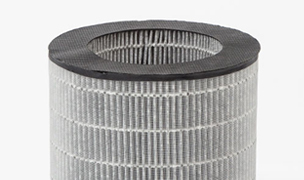 Air Flow – Usually measured in cubic feet per minute [CFM] Bigger is better. Fully Electrified and Adjustable Wand – An adjustable wand allows you to vary the length of the wand according to the task at hand and the fully electrified wand allows you to use the accessories for vacuuming everything else but floors. If you use tools and change them on the fly you will prefer having the flexibility of having an adjustable, fully electrified wand instead of a wand that breaks in half so that you can put a tool on the shorter end. 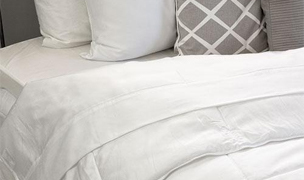 Change Dust Bag Indicator – I confess to not being the kind of person who is always looking to change the vacuum bag, so I am appreciative of vacuum cleaners such as Electrolux, Miele, or Sebo which give me a heads up and friendly reminder. Size of Bags – If you are the kind of person who likes larger bags and not changing them often, then you should consider an upright. In the canister category Miele have managed to squeeze out the largest size bags in their S5 series and the fiber bags actually help the vacuum provide more suction. 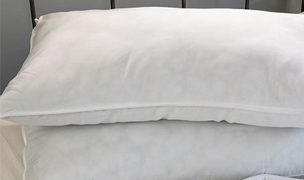 Soft Bumpers – For soft bumpers Sebo take top honors. Also, Miele’s newer models have a one-piece integrated rubber bumper that is very sleek, but I am not convinced yet that it gives my walls such a soft landing. Large Wheels – Large rubberized wheels help with maneuverability and also in leaving your shiny wood floors without scratches. Maneuverability – While it takes some getting used to the Sebo Felix wins hands down in this feature, as the this powerful upright vacuum turns direction at the flick of the wrist. The looks are funky and are supposed to appeal to the younger generation. This vacuum is also rather flexible as it unhooks and becomes an over the shoulder vacuum for cleaning drapes or stair carpet. Dust bags or Bagless – type of bag and size of bag. Bagless vacuum cleaners in our opinion are very allergy unfriendly and the non-allergy sufferer in the family should handle the dirt disposal. The quality of the bags does make a difference and the new fiber bags offered by Miele are exceptional and improve the performance of the vacuum cleaner. The new Miele S5 series bags are larger than their predecessors so the bag needs changing less frequently. Construction Quality – ABS plastic-non shiny finish is my personal preference. When I have spent a lot of money on a vacuum cleaner, I like it if the finish is such that it is scratch resistant and does not have a banged up look within a month. It is like having a new car with it its first scratches on it- it always feels like a let down. Something for you to think about. Cord Length and Automatic Rewind – Putting your foot down on an automatic rewind of twenty feet of vacuum cleaner cord can be a startling experience! A longer length cord is handy if you do not want to plug and unplug. Upright vacuum cleaners almost all do not have automatic rewinds and you have to remember to neatly wind up the hose after use- some members of my family always forgot to do that, and drove my father mad when I was growing up .I have found the rewind cords on the Miele vacuums to work the most reliably without coaching. Brush Agitator (roller brush) – The roller with bristles under the machine that spins when the machine is on. It increases the cleaning effectiveness on carpets. Edge Cleaner – Some vacuum cleaners models have a edge on the power head for carpet edge cleaning such as the Sebo X upright series; other canisters simply use one of the on board attachments for edge cleaning, but that is far less convenient and you have to remember to change the tool. Most of us do not want to go to the extra trouble. Optional Tools – Never deceive yourself in into thinking that if you have accessory tools but they are not on board that you will ever use them, although some are located on the wand. The tool holders for the wand such as on the Sebo K2 vacuums usually require an iron man to install them the first time around, but after you have got past that annoyance they work pretty well. Small Niceties – Place to hang the floor tool, parking, under the bed fold down flat. 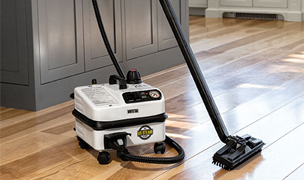 The Sebo X4, X5,and G1 uprights also can fold down flat for vacuuming under furniture which is something very few uprights can do, although all canisters can get at dust bunnies underneath furniture very easily. Value for Money – Miele offers an array of canister vacuums, including a number of affordable canisters that feature Miele’s high-quality construction but at a more-affordable price point. 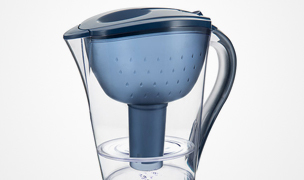 Their canisters are easy to use with user-friendly features. 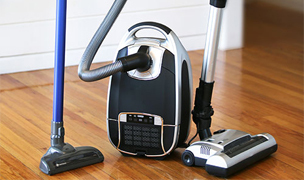 These are great vacuum cleaners that you are sure to find value in for their price. Durability and Warranty – If there is one thing I hear often it is how people hate it when their vacuum cleaner breaks down every couple of years or so and they have to replace it. 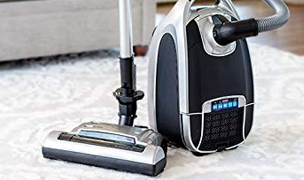 Your choices are simple; pay less and replace the vacuum cleaner more often, and be frustrated when it does not pick up the dirt very well or pay a rather more exalted price and keep the vacuum cleaner around for years until you wish you could find an have an excuse to buy a new one. Those people who are into durability should opt for Sebo or Miele vacuum cleaners. Our own experience is that Sebo are starting to edge out Miele in terms of reliability, probably because they have kept all their manufacturing so far in Germany. These vacuum cleaners will last forever, often 10 to 20 years and much longer than the specified warranty period.